Highly desirable single level living & move in ready! Charming 3 br/2ba is perfect for young family or down sizing. Beautiful kitchen w granite counters, tumbled stone backsplash, recessed lighting, center prep island, newer appliances. Cozy living room w fireplace is a great gathering spot. 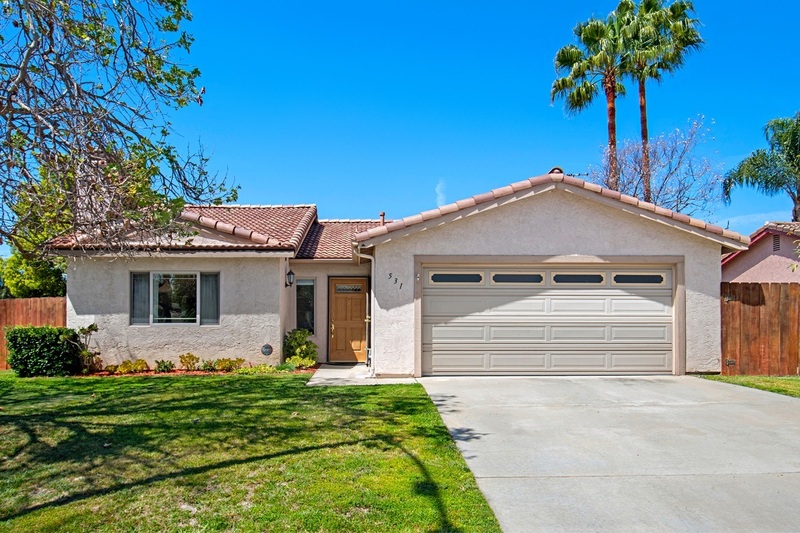 Features upgraded baths, vaulted ceilings, central A/C & energy efficient Milgard windows. Great corner lot location w an extra parking pad for car/boat/small RV on side of home. No Mello Roos or HOA!, Close to shopping, restaurants, golf courses, recreation areas. Beautifully upgraded and move-in ready.